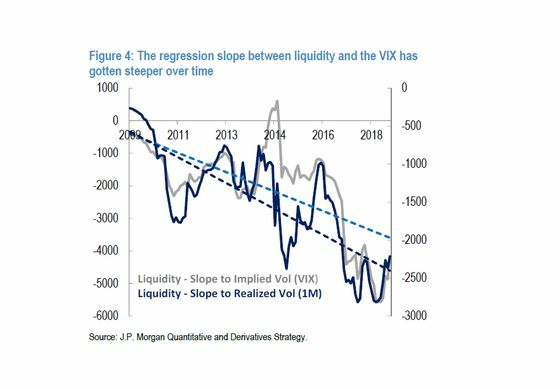 (Bloomberg) -- Marko Kolanovic is blaming a “negative feedback loop between volatility and liquidity” for topsy-turvy markets. 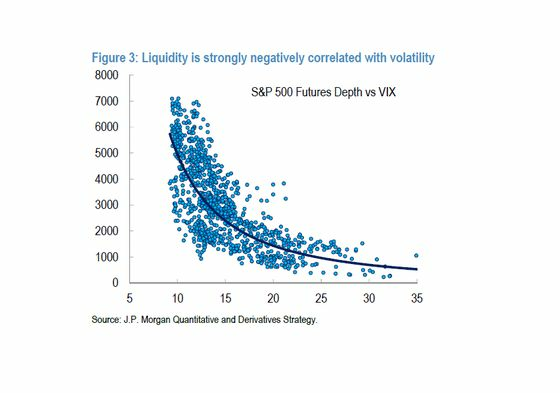 Investors added $222 million to exchange-traded funds that protect against stock volatility in the past week, pushing assets of funds focused on VIX derivatives to more than $3 billion. The VIX itself is down 48 percent this year to 13.2 as of Monday amid the overall risk-on rally.